Ideal for boosting your 23L brew while adding flavour and body to your beer. 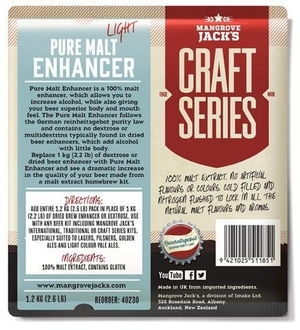 Adding Pure Malt Enhancer will boost alcohol content up by an extra 1.5% ABV. Great for all beer styles but perfect for lagers, pilsners, golden ales and light coloured pale ales. Use this in place of brew enhancers or dextrose.